Velocity Frequent Flyer has strengthened its regular May transfer bonus by giving members up to 40% in bonus points throughout May 2018 on transfers from some credit card programs and 20% on hotel program transfers. Unlike the flat 15% in past years, this year the bonus on qualifying credit card transfers is based on the amount of points being transferred, with transfers under 100k points receiving 15% and over 750k points receiving the full 40%. 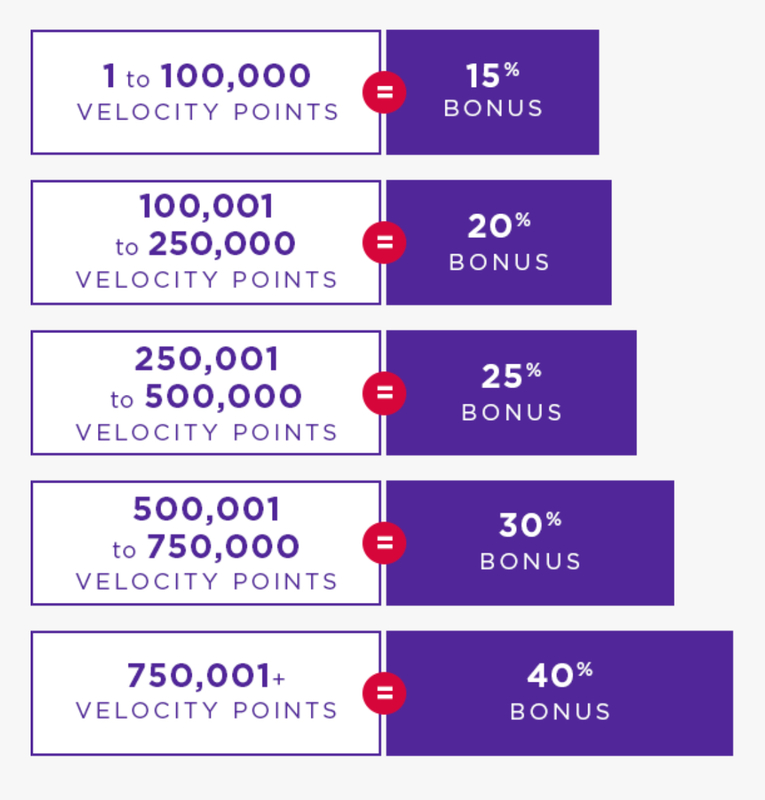 This is one of the best Velocity transfer bonus’ we’ve seen recently and hence I would recommend taking advantage if you are considering a Velocity redemption in the near future. Obviously you lose flexibility once the points are in Velocity so keep this in mind if your card offers transfers to other airlines.